This Multi Aquamarine necklace features high quality blue and pink Aquamarine (Morganite) beads in soft pastel hues that are expertly faceted to reflect the light. 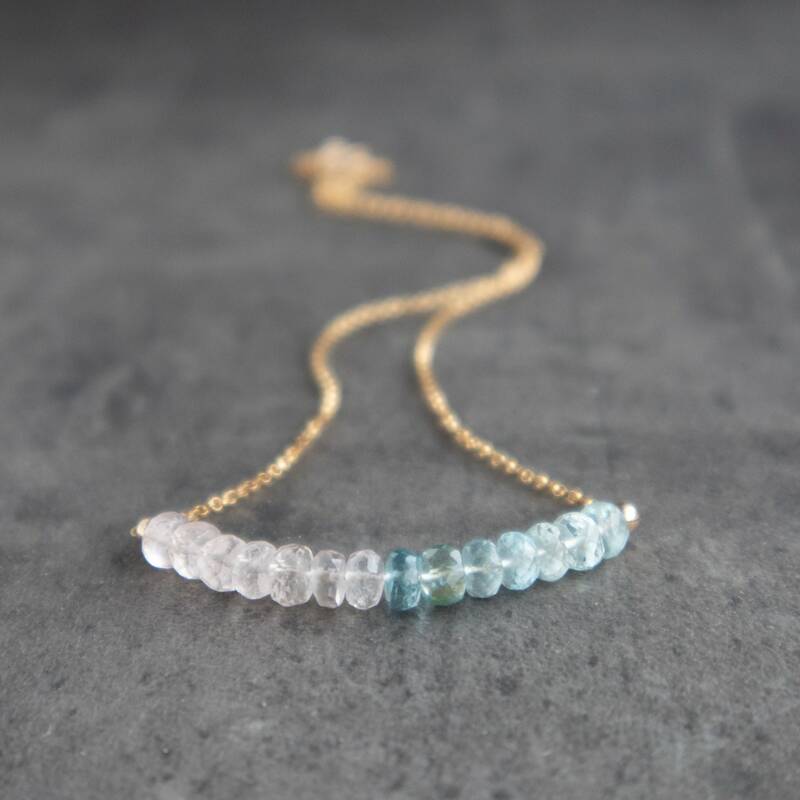 We have been carefully arranged the colours to softly blend into each other to create this lovely effect and set seamlessly to the centre of a beautiful 14K Gold Filled chain. Also available in Sterling Silver and Rose Gold Filled. 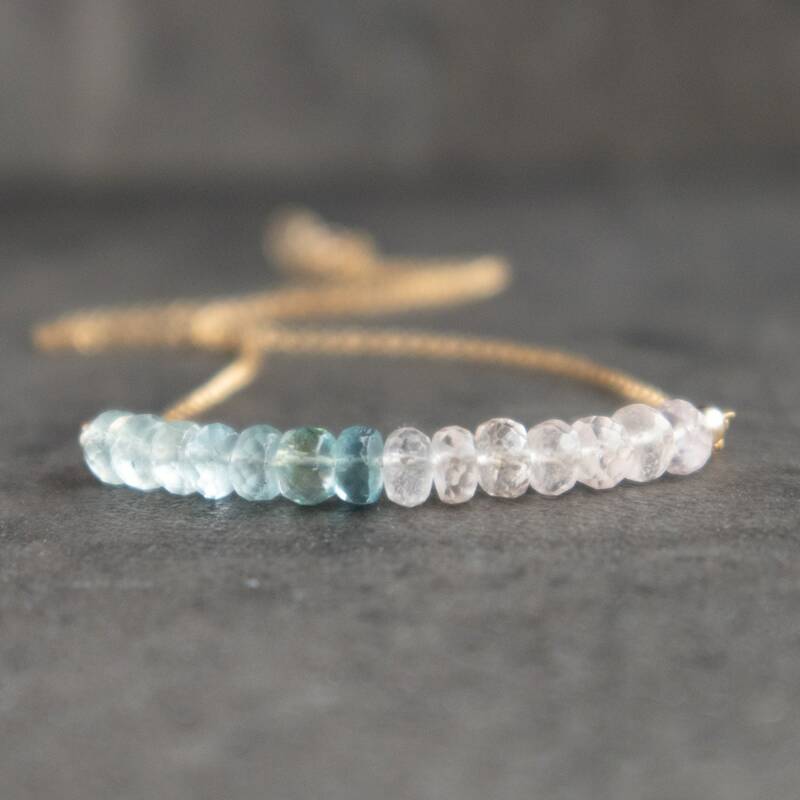 •Great for layering or alone and a perfect March birthstone gift! Comes with a crystal information cards in a beautiful Abiza Gift box. •Elegant, unique, feminine!! A beautiful March Birthday gift! 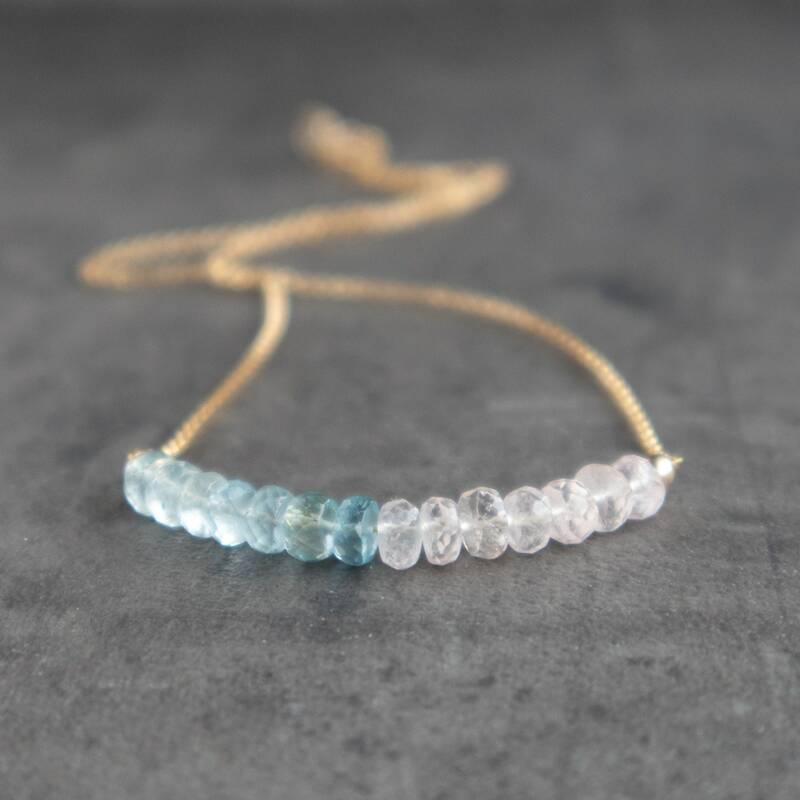 •Stones are gorgeous quality and they measure 5.5mm approx. •Please see the 6th image for the scale and choose your chain length from the drop down menu. 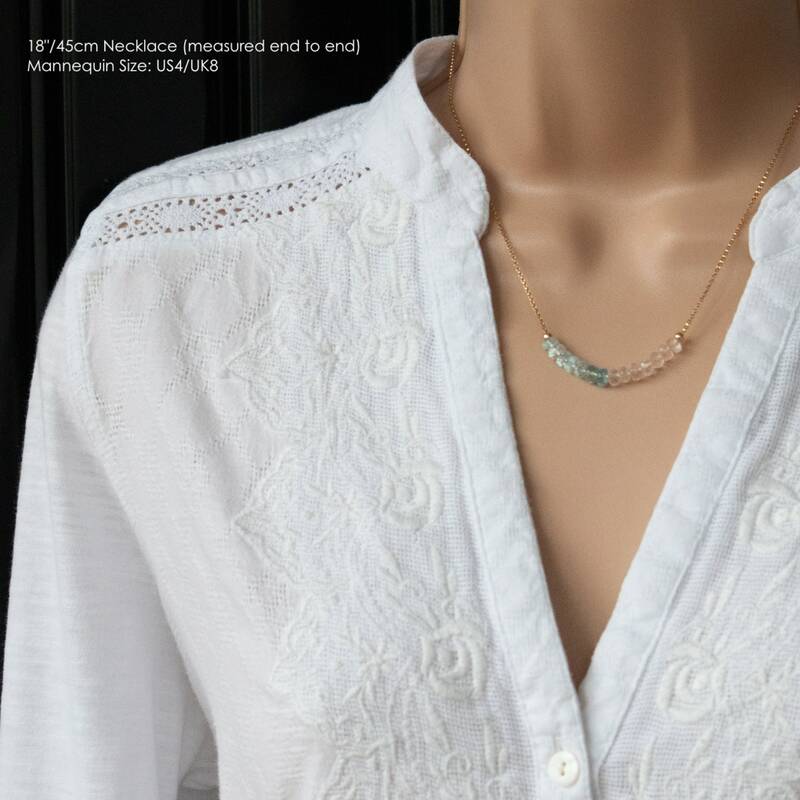 •14K Gold Fill, 925 Sterling Silver Sterling Silver or 14K Rose Gold Filled chain with spring clasp closure. 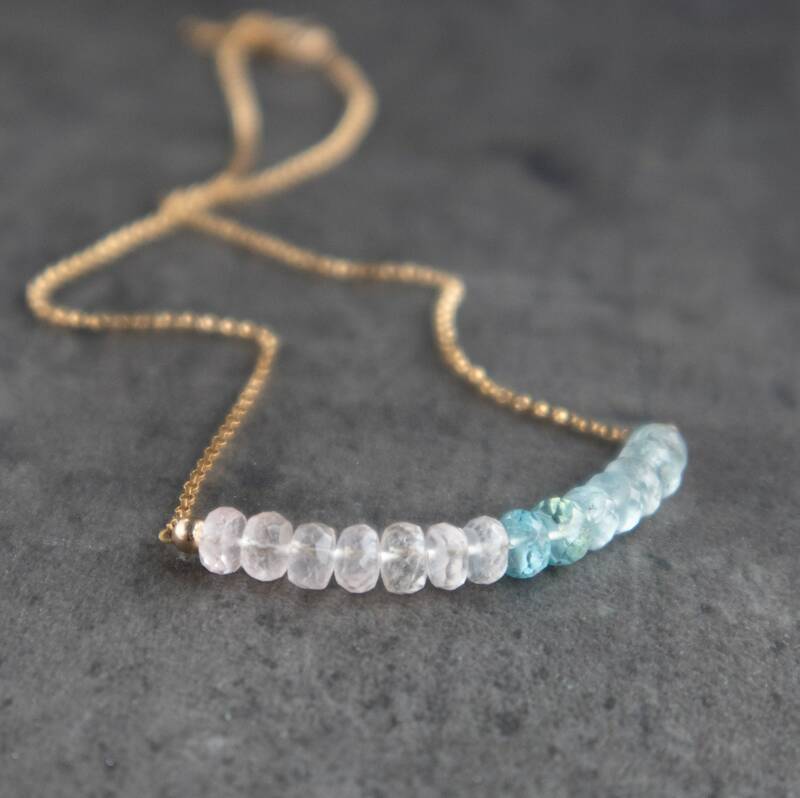 Chains are slightly different but similar in size and weight.More Aquamarine jewellery! Très joli collier, on ne m'en fait que des compliments ! Loved it. 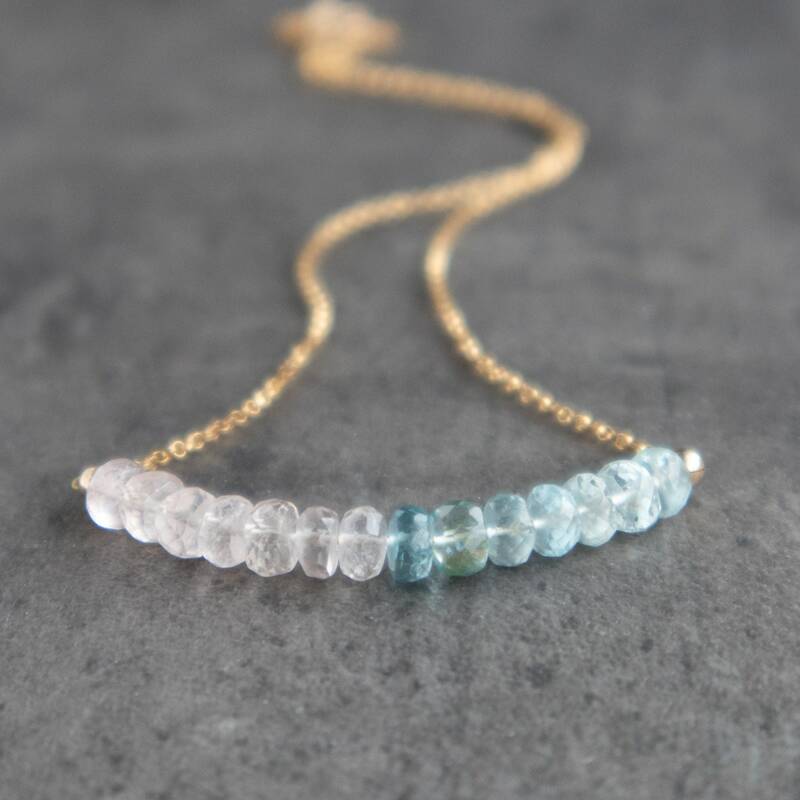 This necklace looks so beautiful and delicate on. 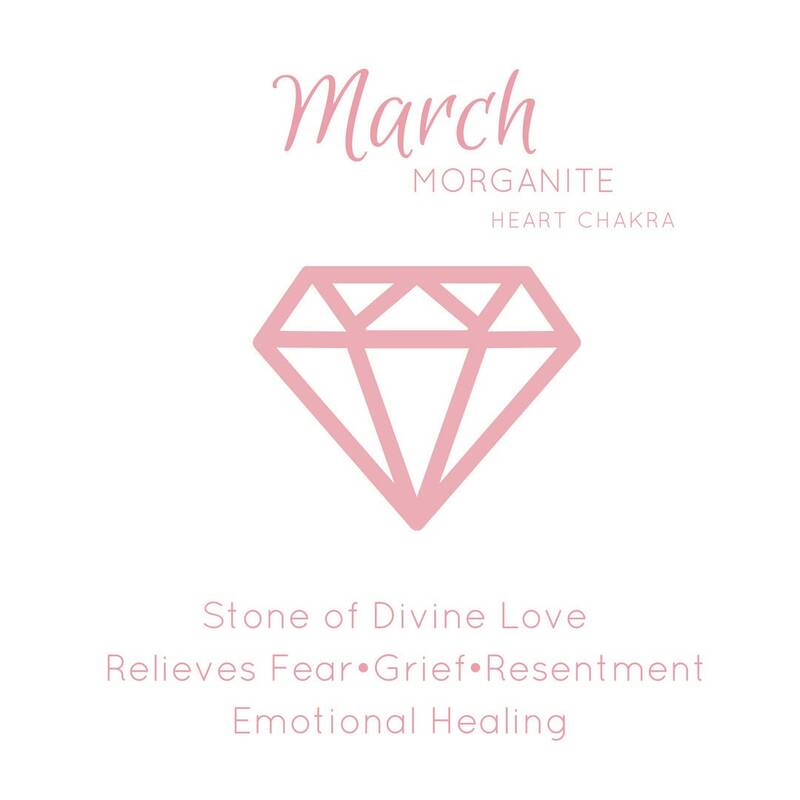 I received this as a present from my mother for my 24th Birthday, as she knows how fond I am of my birthstone, and I love the transition from pale blue to pink. Thank you so much! So pretty! Really subtle and nice length. Thank you! Item arrived promptly and was well packaged. It was as pictured and described. Very happy with the product. 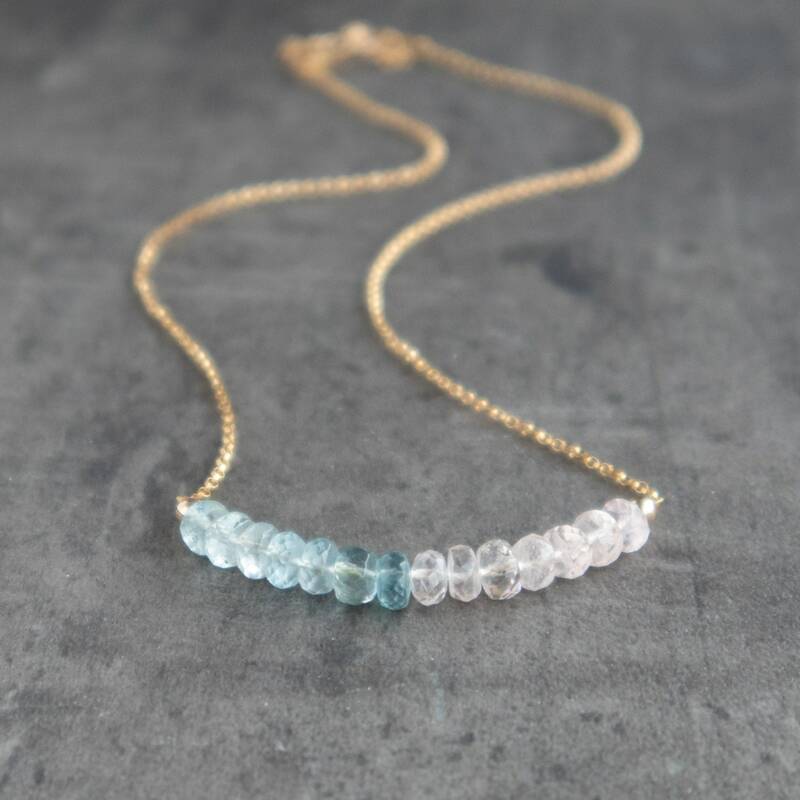 I just loved this aquamarine necklace! It is so beautiful and dainty. Abiza is the best - she sent it right away. I will buy more from her! !